Sul Ross was born September 27, 1838 in the Ross settlement of Iowa which was named after his father, Shapley Ross, a charter member of Waco Lodge 92. The Ross settlement developed out of an agreement between Shapley and local native chief. Interaction with native Americans was a long family tradition by the time Sul was born. His great-grandfather was an Irish immigrant who suffered the untimely demise of being tied to a tree and burned to death by natives during the French and Indian War. Several relatives had been orphaned and adopted by natives with at least one rising to a fairly high status within Shawnee culture. Sul was named after his grandfather, Lawrence Ross, who was shot by and imprisoned by a native tribe when he was just a boy. He remained as their prisoner until he was released as part of the Treaty of Limestone when he was twenty-three. However, as I already mentioned, Sul was born on land acquired by his father from natives in a friendly agreement. The history between the Rosses and native Americans was long but it was complicated. The Rosses have been labeled as “Indian fighters” but that term is far too one-sided based on the records available to us. The Ross men thought highly of native culture. This double-sided history informed the young Sul and when his family moved to Texas just a year after his birth, it made sure to follow him there and elsewhere for the rest of his life. Little Sul lived with his family in the well-known Roberson Colony for a couple years until he was three when they relocated near Cameron and settled on 640 acres along Little River. Comanches lived nearby so raids were commonplace. Years later, one of his favorite stories came from this part of his childhood. He and his father were walking home from a neighbor’s house when more than a dozen Comanches suddenly rode up. Shapley was considered a great foe of the tribe because he had slain Big Foot, one of their chiefs who terrorized pioneer settlements. As the group of natives approached them, Shapley tossed Sul over his shoulder and sprinted the last half mile back to the safety of their home. Sul never got tired of telling people how his father had outrun the Comanche horses that day while a shower of arrows rained down around them. After four years, the family moved again. This time, Shapley took them to Austin so that Little Sul and the others could attend a good school. So began Sul’s formal education while his young mind was already filled by memories of Indians and adventure on the frontier in Cameron. By this time, Shapley Ross was a famous settler. As founders of Waco sought to increase its viability as a village, they decided to grant plots in the new downtown area to Shapley. They also offered him eighty acres of farmland and the rights to run a ferry across the river. The bait took. Shapley brought his family to Waco in 1849 and built the first house here. Little Sul was then eleven years old. In many ways, they became the leading family of Waco Village. His sister, Kate, was born in 1851 and is considered to be the first non-native born in the city of Waco. In 1856, Sul left for Independence where he took up studies at Baylor University’s college preparatory department. He did very well, finished a year early, and enrolled at North Alabama University in 1857. The school was then called Florence Wesleyan. Another Waco pioneer, our Past Master J.H. Gurley, was a recent graduate of the same institution. When Sul arrived, administrators nearly denied his enrollment on account of his math being so poor but his chances were saved by a kindly professor who agreed to spend extra time bringing him up to speed with his peers. That professor’s name was Septimus Price and he later served as president of the university. Today, there is a building there named after him. One can only guess as to the different path Sul Ross may have taken if not for Dr. Price’s sympathy for him that day in 1857. During one of the vacation periods at Florence Wesleyan in 1858, twenty-year old Sul was in command of a native American group which had allied with the United States military against marauding Indians. After receiving information from some native scouts he sent out into the mountains, Sul led a thirty-six hour march and caught the Comanches sleeping in their camp. Without waking them, Sul managed to send their five hundred horses running away into the mountains. This proved his knowledge of the natives because the horse was the key tool in Comanche warfare. As dawn broke, Ross and his commanding officer’s soldiers led two separate charges into the Comanche camp. Noticing a group fleeing into the trees, Ross and a few others sped over to prevent their escape only to discover that it was Comanche women and children. At least, most of them were. Among them was a little white girl. Ross was the first to notice her and gave one of his men strictly in charge of the girl’s safety. Shortly thereafter, a group of Comanches killed several of Ross’s companions and shot him as well. He fell to the ground and a Comanche warrior named Mohee approached him with the intent of taking his scalp but James Majors came to the rescue of Ross and killed Mohee first. The battle soon ended with the Comanches running into the mountains. In the aftermath, Ross’s Caddo allies carried him to Fort Belknap. A few weeks later, he was back in class at Florence Wesleyan where he soon graduated. Sul adopted the little girl he found and named her Lizzie. Her origin was never identified and it was assumed her family had been killed when she was still very young. Ross saw to it that she enjoyed a good education and her story was well-known throughout the country. After graduating, Ross returned to Texas and became a Texas Ranger. He quickly rose to Captain of Waco Company. Sul’s legend grew over the next couple of years as his stories of his continued successes in fighting, leading, and negotiating with Indians spread across the state and even the country. More than once, Ross was celebrated for successfully winning hand-to-hand combat with a native warrior. In 1860, he famously recovered Cynthia Ann Parker, another white girl who had been taken captive and adopted by Indians. That story can be read in many places so we will not deal with it here. By the end of 1860, Sul Ross was famous and living back at home in Waco where no other man surpassed his popularity with the townspeople. He was appointed to serve as State Peace Commisioner among Indians and remained in that role until the summer of 1861 when he joined the group of men assembled by his brother, Peter F. Ross. Sul also joined Peter and their father, Shapley, when he became a Master Mason at Waco 92 in 1861. Shapley had helped to form the lodge when Waco was still a village in 1851. Though our first several years of records were burned in a fire, we thankfully still have our meeting minutes all the way back to 1861 and so the original record of Ross’s masonic degrees in Waco still remains in our possession. The Rosses group of enlistees were attached to the Sixth Texas Cavalry and once again, Sul quickly rose to positions of leadership while serving with distinction in various battles. His bravery was so impressive that in December of 1863, he was promoted to Brigadier General. In this capacity, “Ross’s Brigade” saw action in a few major Civil War battles of Atlanta and Franklin, Tennessee and elsewhere. Throughout the war, Sul Ross fought in 135 battles and it proved to be a most unlucky assignment for any horse mounted by the general. Five were shot out from under him. From his enlistment onward, he proved over and over again to be especially effective in penetrating enemy lines to obtain intelligence and compromising their communications before returning safely for battles. 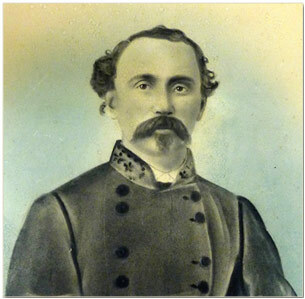 In 1865, Ross’s Brigade surrended at Franklin, Tennessee and he again made his home in Waco but now was broke on account of many losses due to the War and he was also in poor health due to the rigorous lifestyle of the previous four years. He began farming in Waco and slowly regained his health during the era of Reconstruction. By 1873, he had largely recovered his finances and his well-being so the people of McLennan County made him sheriff. While sheriff of McLennan County, he enjoyed a great deal of popularity as a result of successfully cleaning up a high crime rate. This was essential in bringing Waco from the crude village it had been when he moved there as a boy to the leading city of the South it was quickly becoming. In two years, he oversaw the arrest of more than 700 outlaws. On August 14, 1874, Brother Sul called to order the very first meeting of the Sheriffs’ Association of Texas. Soon thereafter, he was one of the writers of the Constitution of 1876 which still serves as the legal basis for Texas government today. This Constitution proved to be far better than the previous one drafted in 1869. Ross’s attachment to it and his success as a State Senator caused an even greater appreciation for his long career of service to Waco and the whole state. As a result, there were considerable efforts to write him in as a gubernatorial candidate despite his refusal to run. In 1886, Ross was convinced to run for governor and he won with a record majority of the vote. Immediately, he established a new tradition of hosting the Inauguration Ball at the then-new Driskill Hotel in Austin. Ross was re-elected twice and during his terms as governor, Texas enjoyed great advancement. The State Capitol was built. Industrial and agricultural business flourished like never before. Texas became the center of academic culture in the South. When Ross ran for governor the second time in 1888, his first two years had been so well received that his Democrat party offered no other candidates and the Republican party offered none at all. It seems that nearly everyone was very happy with Sul Ross as the leader of Texas. Before leaving office and refusing to run for a third term in 1891, Ross had overseen the creation of a state school for handicapped black children, a state-run home for orphans, and a new asylum for the mentally challenged. He also set aside land near Gatesville for what would be the first juvenile offender reformatory. He was the first governor to establish a day for civic duty when he created Arbor Day for the purpose of having schoolchildren plant new trees. Ross led effort to acquire the paintings of Texas governors which hang in the State Capitol rotunda today. One of his major efforts revolved around the care of veterans. He dedicated the first home for Confederate veterans in Austin and oversaw its ensuing growth. In addition, he made great strides in locating veterans or the widows of veterans from the Civil War or other service for Texas and seeing to it that they received the appropriate pensions and awards. The economic growth of Texas under Sul Ross was immeasurable and he remains the only governor in the history of our state to have called a special legislature meeting for the purpose of figuring out how to handle a surplus in the state treasury. When Brother Sul left the governor’s office, the A&M College of Texas was falling apart. It had been established by the state to educate young men in farming and military tactics. At every level, mismanagement, discord, and various failures were rampant. Administrators at school begged Ross to leave politics and fix their program and he agreed. His surviving subordinates from the Civil War immediately sent their sons to A&M because his reputation as a farmer and as a military leader was unsurpassed. An extraordinary 500 students applied for admission in Ross’s first year as president of the school. Seeing the utter disarray on campus, he immediately set about turning the school into a successful institution based on many of the examples he had seen at Baylor. There weren’t enough apartments so he built Ross Hall, a new dormitory boasting three stories. He also oversaw the construction of several other new and important buildings. Ross personally interviewed applicants to decide if they should be admitted and raised semester fees to send the message that an education at A&M would now be coveted. His influence was everywhere on campus and in virtually every organization. Ross revamped the Corps of Cadets and banned hazing. He increased the graduation demands and the expectations of every department. Despite the increased demands and the dozens of new buildings popping up on campus, the college enjoyed a surplus in its treasury just as the state of Texas had with Ross as its leader. Brother Sul was more than an administrator, though. Students later recalled how important it was to receive personal encouragement from him regularly. They also came to admire him as a man of integrity who set the example of a gentleman with an eloquent tongue and a seemingly nonexistent temper. Monthly meetings with poorly performing students included private discussions into the circumstances causing their bad grades. 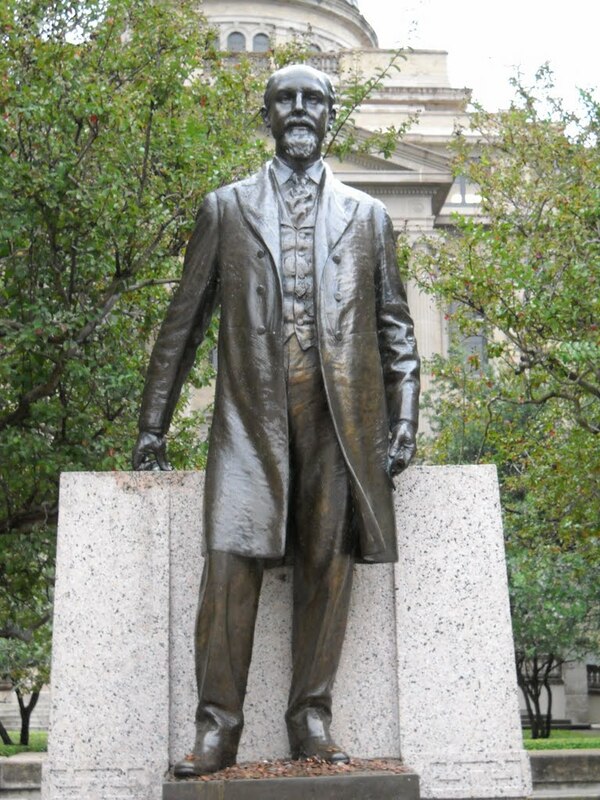 He also opened the doors of A&M to women for the first time in 1893, albeit on a very limited basis. Still, with the controversy surrounding coeducation back in Waco at Baylor that ultimately led to a famous shootout, this was a bold move. His reign as A&M’s leader saw it form the proud identity it still has today. The first Aggie Ring, the formation of the Aggie Band, the first football game(against U.T. of course), and many other firsts all happened under the supervision of Sul Ross. In tribute to Bro. Ross, the elite company in the Corps of Cadets is called the Ross Volunteers. As one recent A&M grad put it, “they’re the cream of the crop and the ones who perform dignitary functions. They are the ones who will ‘guard’ visiting governors or presidents and are the ones who will play silver taps and give 21 gun salutes at Silver Taps and Muster.” Such an honor is merited by the leadership he gave the university while leading it out of one of its darkest eras. In 1897, Ross had been president of Texas A&M for not quite eight years when he went on a hunt along Navasota River with some friends and family around Christmas. Poor weather made him ill and after several days of discomfort, he died on January 3, 1898 in College Station. The entire A&M student body traveled with his body to Waco for its internment at Oakwood Cemetery where thousands of attendees mourned the loss of the city’s greatest hero. His students performed the first “Silver Taps” ceremony which is still used when an enrolled student of the school dies. Confederate honors were given Ross at his burial and a Masonic service was performed by Waco 92. Efforts immediately began that resulted in legendary sculptor Pompeo Coppini to make a statue of Sul Ross for A&M’s campus. It sits at the center of the university today. Appropiately, considering the many traditions started under his watch, the students decided to start a new one with his statue. 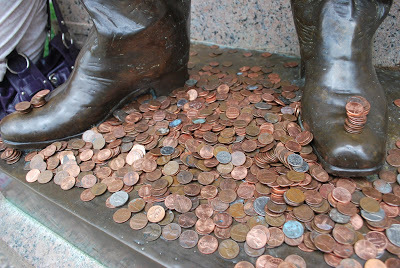 Stories had been told that he would tutor students for merely a penny and so today, the base of the statue is usually covered in pennies during exam weeks by current students hoping Ross can still give them a bit of a boost for their grades. Three years after the statue’s unveiling in 1917, Sul Ross State University opened in Alpine, Texas. In 1947, Sul Ross Masonic Lodge #1300 received its charter and was named after Brother Ross.